The Nimble Cook has the know-how to walk into a kitchen--any kitchen--no matter her skills or experience, what ingredients she has (or doesn’t), and comfortably, confidently start making great food. She is able to rethink what it means to make a meal, giving her new options for what and how to eat. 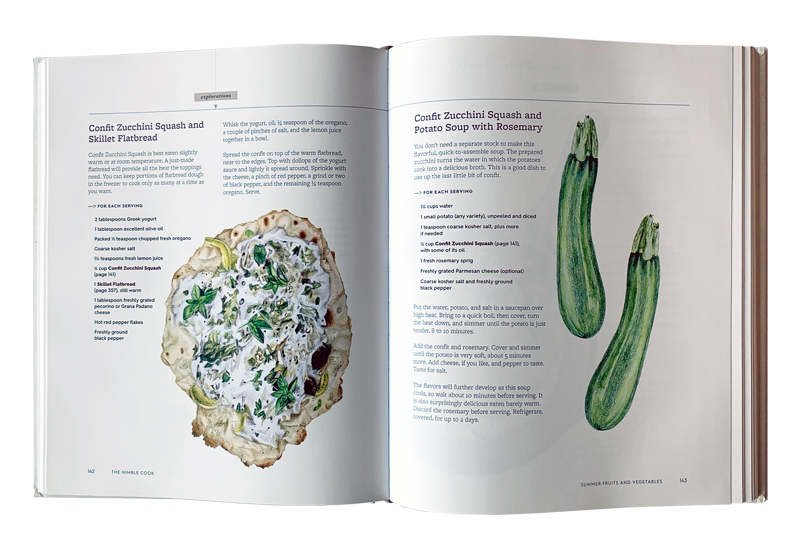 The 400 recipes and radical, yet intuitive strategies in The Nimble Cook will change the way you cook, immediately and for years to come.